In the Outrage Over Discrimination, How Do We Define ‘Asian American’? This May marks the 25th anniversary of the permanent designation of Asian Pacific American Heritage Month. As in years past, APA Heritage Month commemorations will include events across the country, highlighting the contributions, culture, history, and challenges faced by Asian Americans and Pacific Islanders. Since the designation of APA Heritage Month a quarter century ago, the United States looks different, as does its Asian-American population. Asian Americans are now the fastest growing racial group in the country, with immigrants from South Asia fueling much of that growth. Indeed, Bangladeshis, Pakistanis, and Indians have nearly doubled their share of the Asian American population, from 14 percent in 1990 to 26 percent today. Just as important, South Asians have been prominently featured in news coverage of Asian immigrants, from success stories like the rise of Indian American CEOs like Microsoft’s Satya Nadella to heartbreaking stories of hate crimes and murders in the post-9/11 era. In 1992, news headlines of Asian Americans focused on Korean grocers being robbed in poor, inner-city neighborhoods like Harlem, West Philadelphia, and East Los Angeles. These have been replaced with headlines of Sikhs, Hindus, and Muslims shot, beaten, and killed across the country. 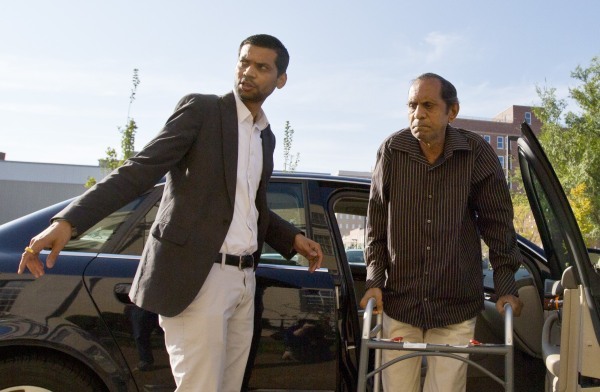 Sureshbhai Patel, a 57-year-old Indian grandfather in Alabama, was partially paralyzed by two police officers during an encounter in 2015 and needed spinal fusion surgery to repair damage to his back. As we celebrate the APAHM, we ask whether these fundamental shifts in the Asian American experience are reflected in our understanding of who is Asian American. As scholars of immigration and race, our reading of the selective outrage by Asian-American groups over the killings of South Asians suggests that this is not the case. So, in the 2016 National Asian American Survey, we sought a more systematic way to answer the question of who counts as Asian American. Some of the survey results were unsurprising. Most whites, blacks, and Latinos agreed that Chinese, Japanese, and Koreans are Asian or Asian American. Only about 5 percent of whites reported that Chinese, Japanese, and Koreans are not likely to be Asian or Asian American, and among blacks and Latinos, the figure was about 10 percent. The Asian ethnic groups in our survey — Chinese, Indians, Filipinos, Vietnamese, Koreans, Japanese, Cambodian, Laotian, Hmong, Pakistanis, Bangladeshis, and Native Hawaiians and Pacific Islanders — felt similarly: only a small proportion thought that Chinese, Japanese, and Koreans are not likely to be Asian or Asian American. Stark differences emerged, however, when we asked about Indians and Pakistanis. Among Whites, 41 percent reported that Indians are not likely to be Asian, and for Pakistanis, the figure is even higher at 45 percent. While blacks and Latinos were more likely to see Indians as Asian (35 percent), they were just as likely as whites to see Pakistanis as not Asian. Most jarring is that other Asian Americans were just as likely to perceive Indians and Pakistanis as not Asian, despite the fact that Indians and Pakistanis see themselves as Asian. Perceptions about Filipinos fall in between, and they, too, see themselves as Asian. What our survey data reveal is that Americans — including Asian Americans — draw a sharp boundary between Asian and non-Asian that separates East Asians (Chinese, Korean, and Japanese) from South Asians (Indians, Pakistanis, and Bangladeshis) and, to a lesser extent, Southeast Asians like Filipinos. Why is this important? When we perceive only some ethnic groups as Asian American and exclude others, we see and hear only selective narratives. This selectivity affects our understanding of anti-Asian prejudice and discrimination. 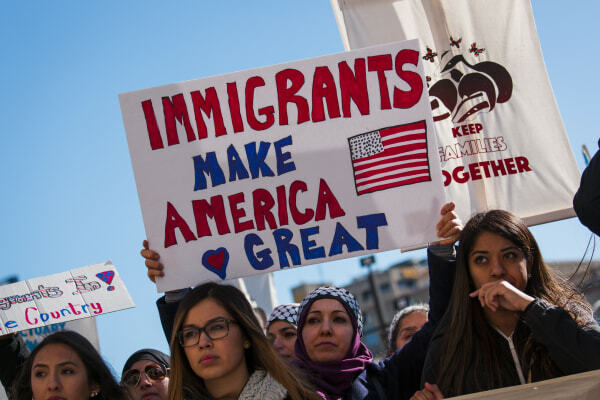 Chinese, Koreans, Japanese, Filipinos, and Indians may all be targets of racist and nativist assumptions, including questions about where are you really from, remarks about our unaccented English, and taunts to “Go back to your country!” Both of us can attest to this. But one of us is much more likely to be stopped for random security checks at airports, detained as we re-enter the country, perceived as a terrorist, and be the victim of hate crimes. These forms of anti-Asian discrimination have become more numerous after 9/11, and more acute after Trump’s proposed Muslim ban. Yes, we are different genders, but that is less significant than our perceived racial differences. To fail to see Indians, Pakistanis, and Bangladeshis as Asian — especially when they see themselves as such — is to silence their voices. It also risks promoting an incomplete portrait of Asian Americans that ignores more threatening, dangerous, and even deadly forms of anti-Asian discrimination. When Sureshbhai Patel was injured, not all Asian Americans identified with him. Rather than drawing internal divisions, we should embrace our diversity and redouble our commitment to racial justice. Jennifer Lee is chancellor’s fellow and professor of sociology at the University of California, Irvine. Starting July 1, she will join the department of sociology at Columbia. Karthick Ramakrishnan is professor of political science and associate dean of the school of public policy at the University of California, Riverside. 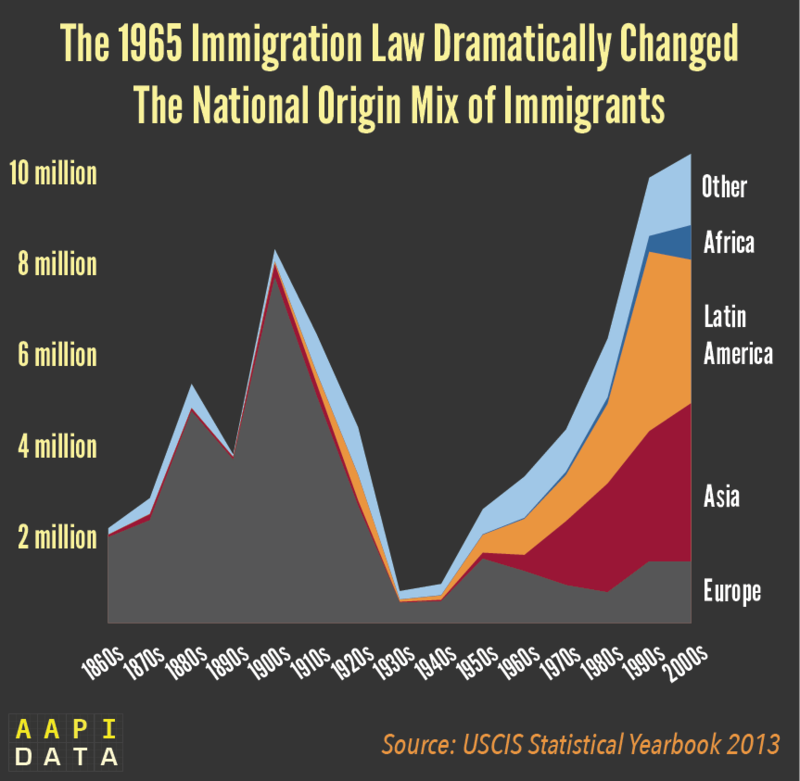 Why Bother Celebrating APA Heritage Month?